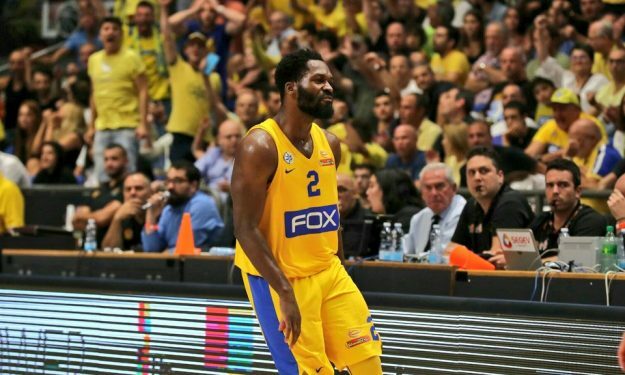 Maccabi Tel Aviv pulled away in the second half and booked the ticket to the Israeli League final. In the first semifinal of the Israeli Final Four, Maccabi Tel Aviv defeated Hapoel Tel Aviv 98 – 74 and advanced to the final. Even if the game was close in the first half (43-40), Maccabi Tel Aviv had a solid third quarter and with an 18-8 run in the first five minutes, the home team gained a 13 point advantage (61-48). In the final period, Maccabi kept this double-digit lead, never looked back and even went up ahead by 23 points (88-65). The game was eventually over from the first minutes of the fourth quarter. Maccabi played tough defense and allowed their opponents to only score 74 points, while their offense was clicking. They scored 98 points and made twelve three-pointers. Jeremy Fargo scored 18 points, while Alex Tyus flirted with a double-double of 18 points and nine rebounds.